The shrinking ’age’ of stalactites and stalagmites. ‘But don’t stalactites and stalagmites take millions of years to form?’ This is a very common question at seminars. Even a hundred years of water carrying dissolved minerals, dripping hour after hour, is an awfully long time. There have been many centuries since the great Flood described in the Bible, ample time for beautiful limestone caverns such as this one (left) to form. The unusually moist conditions at the end of the Flood would have contributed to the high rate of formation. Click for larger view. Most of us have ventured underground to see spectacular limestone formations like those pictured here. Guides commonly labour the point about the alleged ‘millions of years’ of slow and gradual formation—or at least they used to. Comments from supporters around the world indicate that caverns offering guided underground tours are becoming less confident about the belief that cave decorations need long ages to form. In fact, many have become notably silent about the whole subject. The change is also happening because, it seems, reality must eventually catch up with even the most cherished myth. A delightful recent article in a secular travel magazine5 about a journey down into an Arizona cave powerfully made this point. This sort of thing should not surprise us, since we have the real history of the world in the infallible Word of the God who was there, and who never lies. It couldn’t have taken millions of years to form cave decorations—there simply hasn’t been anywhere near that much time! Do ancient stalactites really exist? Batten, D., ‘Instant’ stalagmites!, Creation 19(4):37, September 1997. Return to text. Focus: News of interest about creation and evolution, Creation 19(2):5, March 1988. Return to text. 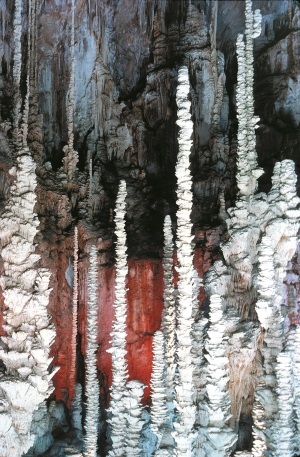 Jamieson, E., Do ancient stalactites really exist?, Creation 16(1):14–15, December 1993. Return to text. Petrified waterwheel, Creation 16(2):25, March 1994. Return to text. Arizona Highways, pp. 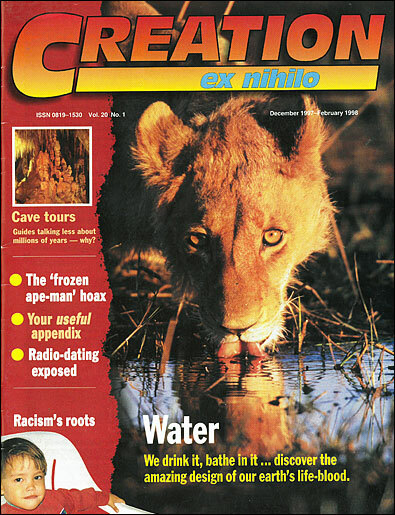 4–11, January 1993. Return to text.